A friendly fire incident in Afghanistan takes a serious toll. A drone, out of control, brings death and wreaks havoc on a Florida highway. An apparently successful corporation comes under scrutiny. A memorable incursion behind corporate closed doors, led by an up-and-coming private investigator, a modern detective on a mission to find the truth about the lives lost to the very technology that was mandated to protect them. Our skies aren't safe anymore. Something terrible happened 16 years ago; many lives were lost. Who was responsible? As long as the truth remains buried, his life is in danger. She will help him find it; she's the only one who can. They're both strong and fearless, determined, relentless. He's a decorated war veteran and he wants to die. She's a prominent psychologist and she won't give up on him. When a suicidal client seeks her help, Dr. Angela Blackwell cannot turn him away, despite the fact that he isn't seeking the kind of help she normally provides her clients. The man, who won't fully identify himself, wants the distinguished psychologist to stand witness after his planned death in six months' time, ensuring his wife will not be charged as an accessory or be hindered from collecting the death benefit he carefully provisioned for her. He calls himself DJ and won't willingly share anything about his past. As Dr. Blackwell is struggling to reconstruct her own life after the loss of her husband, she recognizes his unusual request as a subconscious cry for help and embarks on a relentless effort to guide the reluctant stranger in uncovering the trauma that has permanently altered the course of his existence. Playing a deck of cards stacked high against her and rushing against time, she has no other option but to intervene, searching for the truth herself, refusing to give up. A suspenseful thriller and an astonishing, vibrant story of human strength and frailty, of love lost and love found, Stories Untold will captivate as few stories ever do, with unexpected twists and turns, leaving a lasting memory ingrained into the essence of the listener's being. The beauty of audiobooks is that you can engage in other things while listening to a book. This book did not afford me that luxury. I had to stop many, many times and give this untold story it's due. The want of the main character to end his life was interspersed with the daily grind of living and just how hard that can be sometimes. The fact that it was true for both patient and doctor gave this multifaceted listen its depth. The narrator was exceptional. He was an excited little boy, an affable boss, and a distressed husband. All rich and believable. This is not a light listen but is well worth taking the time. When a suicidal man comes to a psychologist with a bizarre proposal that will legitimize his suicide in the eyes of the insurance company and ensure his wife receives the payout after his death, she accepts, hoping to save him. What follows is a painful journey through his past which forces her to make difficult, ethical choices. A brilliantly insightful look at post-traumatic stress disorder, despair and the suicides that so often result. Both the victim and the psychologist are sympathetic, compelling characters tug at your heartstrings. The story is well crafted, maintaining an atmosphere of suspense and uncertainty until the very last chapter. The reader is very good with excellent inflection and pacing and a voice that is soothing but not sleep inducing. I don't give many books 5 stars but this one deserved them. down to earth. Dillon took a unique way about planning his suicide. I would have never thought of going about it like that but can understand why he did. suicide is a major issue in society today and not many people would bring up the topic. bravo to you. you not only brought up the topic but you made it an example that everyone could understand. Stories Untold is a moving story about two lost souls, a suicidal veteran and a widowed therapist. The story is well written, emotional, and wonderful. 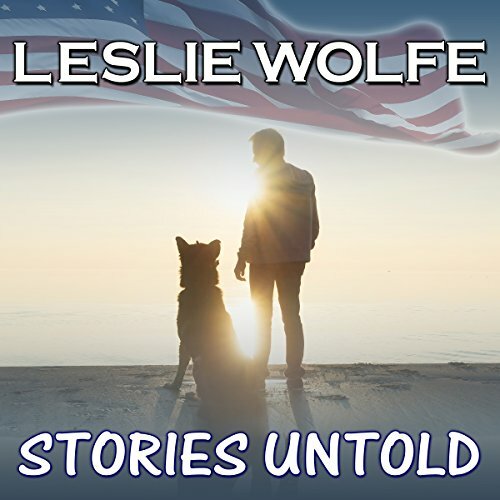 Stories Untold: A Novel by Leslie Wolfe, narrated by Andrew Tell is a great listen. It informs, entertains, and draws awareness to issues that are sometimes overlooked or forgotten about in our world, today. It is the story of a man, a war veteran who served in the USMC, who, due to unfortunate events that occurred 16 years ago, is suffering from PTSD. He feels his only escape/release is suicide. As a result, he devises a plan and seeks the help of Dr. Angela Blackwell, a psychologist, to ensure that every step of his intended outcome, mainly pertaining to the safety and security of his wife after he is gone, follows through, without fail. 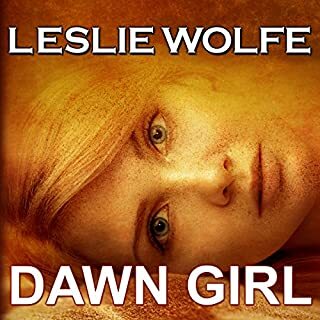 The main reason I was so drawn to this audiobook is because the of the characters Leslie Wolfe has created. I felt an emotional attachment to them, like I have known them my whole life. Their situations, relationships, and struggles are real, relatable, and completely relevant today. She has written a novel that parallels our own daily lives in so many ways that this could easily be a piece of non-fiction. These are not characters on a page...they are real people with real lives. Andrew Tells narration was outstanding. The pace, volume, tone, and everything in between was right on. I don't have much to say about the performance because it was pretty much flawless, in my opinion. I felt he was perfect for this book, and I can't imagine listening to anyone else narrate it. 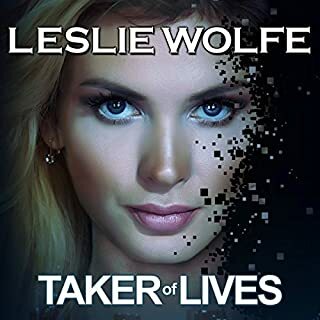 Stories Untold: A Novel by Leslie Wolfe, narrated by Andrew Tell deserves a 5/5 stars across the board. It is well-written and clearly well-researched. The content matter is necessary and timely. While it is not an edge-of-your-seat thriller, it is suspenseful and kept me wondering what was going to happen next. 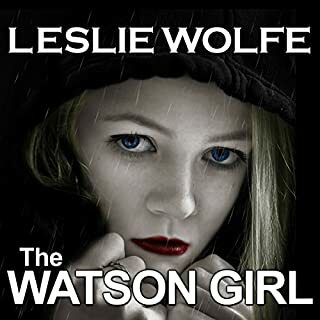 I enjoyed listening to it, and would recommend it to those who enjoy psychological, suspenseful listens. It will keep you engaged through to the end, regardless if you know about PTSD or not. Also, even if you do not regularly interact with those who have served time in the military, you will still enjoy this audiobook because it is not a book about war. It's a book about us...a book about people, survival, love, and the eperiences that make us who we are today. I just finished listening to Stories Untold written by Leslie Wolfe and narrated by Andrew Tell. I found it to be a very moving story and Andrew Tell has done a wonderful job of narrating it. Dr. Angela Blackwell, a prominent psychologist, is approached by a potential suicidal patient wanting her help but only to protect his wife from any suspicion of having any involvement with his death. He won't tell her his name or any specifics about himself, just call him DJ if she had to have a name. He does not want to be treated, he does not want her "to fix him". Having abruptly lost her husband due to him asking for help from someone who should have but did not have any training to recognize he was in crisis, she did not want to be party to leaving someone else a widow who would have to live with the anguish and guilt that would come with trying to come to tetms with his death. Because it went against everything she believes in to not try to save him, she took him on as a client not patient knowing she was very likely going to have to be breaking rules of her profession in order to save him. She is determined to save him whatever it takes. 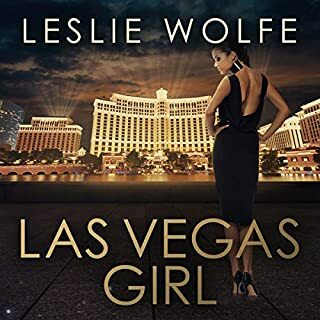 I had previously only read Ms. Wolfe's Tess Winnett series so was unfamiliar with her other books. Stories Untold was a very different type of story but no less enthralling. I found the characters to be very well written, drawing you into the story, wanting Dr. Blackwell to find a way to reach DJ and convince him his life is worth more to his wife than his death. Mr. Tell narrates the story with a voice that is soothing to listen to yet he puts emotion into it without being overly dramatic. 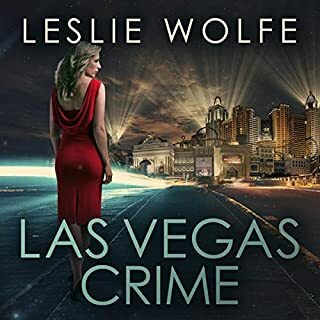 I was gifted this audiobook by Ms. Wolfe but I had previously purchased the ebook. I can now revisit the story either by reading or listening whenever I want and I will want to because the story is just that good. 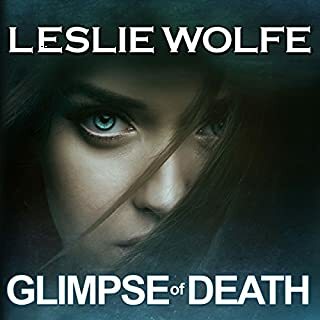 This is not like the other Leslie Wolfe mystery/thrillers I’ve read. It is not action packed and a dead bod (or two) is what is desperately trying to be avoided. That said, it is very well written (and performed) and if you can hang on through the setup, has a heartwarming ending with an astonishing twist. It is a very powerful story that will make you think. Leslie has highlighted a very real current problem of which there should be more public awareness. This book is a totally different genre for me, I normally like to listen to or read books of a much lighter vein. But when I read the blurb I was intrigued and when I listened to the sample I liked the narrator's voice which for me is very important so I thought I would give it a listen. I am so very glad I did. For me this was a story about loss of life and hope more than anything else. Angela who is a renowned psychologist has lost her husband to illness. Michael her husband died basically because the person in a position to offer help didn't. Now she only seems to have her work and when one day a man who will not give her his name but tells her to call him "D.J." comes to her office and tells her he wants to engage her services, not to help him heal but to be an expert witness after his death. He plans to commit suicide in six months time and wants her to testify in court, should it come to that, that his wife Taylor knew nothing of his plans. Angela refuses to be his doctor but agrees to meet with him every week and record their meetings so that she will be able to do as he asks. She plans to do everything in her power to save him, he plans to do everything in his power to stay anonymous and achieve his goal of dying in six month's time leaving Taylor financially secure by means of the payment of his life insurance. All of the above happens in the opening chapters of the book so I have not really given any 'spoilers'. The rest of the book is a deeply moving story about how society treats people, about how society tends to turn away from things it doesn't want to see. It deals with PTSD and with how it can affect people and we don't even seem to notice. I will not tell you any more about the storyline whether D.J. or Angela comes out of this the winner because it's not a case of either or because if Angel wins then so do D.J. and Taylor. I found myself unable to stop listening to this book, the storyline was so very well done and although I found myself moved to tears on more than one occasion I also found myself feeling very angry as well. The subject matter is very dark but the way the author has dealt with it is very good. The research done must have been immense. At the end of the book we are given some very shocking statistics which left me feeling so very sad for the fate of humanity. This would make a great movie. Was sad for it to come to an end. I received this book in exchange for a review, happy to say I thoroughly enjoyed the listen! As well as reading the book, I listened to this story as an audiobook, narrated by the talented Andrew Tell, who really brought it to life. It's an excellent story and really highlights the issues surrounding mental health, suicide and PTSD, without being preachy - it's just a good story that also happens to have a message, not a lecture disguised as a story like some I've read. I enjoyed it very much, and I'd definitely recommend it to anyone looking for something a bit different to read or listen to. This book was gifted to me and this review reflects my own personal opinion and is written voluntarily. A highly awarded veteran plans for his suicide. To ensure that his wife received full benefit from his insurance policies after his death, he arranged to have recordings made of visits to a psychiatrist in the months leading up to his death. But she cannot accept that he doesn't want help so does her best to save him. Dylan was obsessed with failure, with never making enough money to provide the wife with all that he believes she deserves. The payment from his policies will give her that which he couldn't give in life. Angela, his psychiatrist, is recently widowed and still in pain. She agrees to the sessions with Dylan reluctantly, believing that his is really just a cry for help and she will be able to prevent his self administered death. But as time passes and he refuses to talk to her, she starts to become desperate and feels that her being able to continue life is in some way connected to his. Beautifully read by Andrew Tell, his well modulated and pleasant sounding voice tells the story with clarity and understanding. Although there is little vocal differentiation for the very limited number of protagonists, the characters are clear and each separately emotionally embedded. A sensitive and responsive reading. At the conclusion of the book, the author includes some horrifying statistics about returning soldiers and the difficulty many experience once home. My thanks to the rights holder for the complimentary copy of Stories Unfold which was gifted to me, at my request, via Audiobook Boom. The story is easy to read, intriguing at first, turning into a will he? Won't he? thriller as the book nears it's ending. As a way of highlighting the difficulties faced by so many, it deserves to be read by everyone. I read the book and even though it's quite different to the normal type of book I would choose I enjoyed it and jumped at the chance to own it as an audiobook too. This is a story about how one persons struggle to save a life, has a knock on effect leaving ripples on many lives. It's a eye opener and makes you think and wonder about what is happening other people's lives. Even though I needed tissues at some points I still enjoyed the story and found the narrator very good.